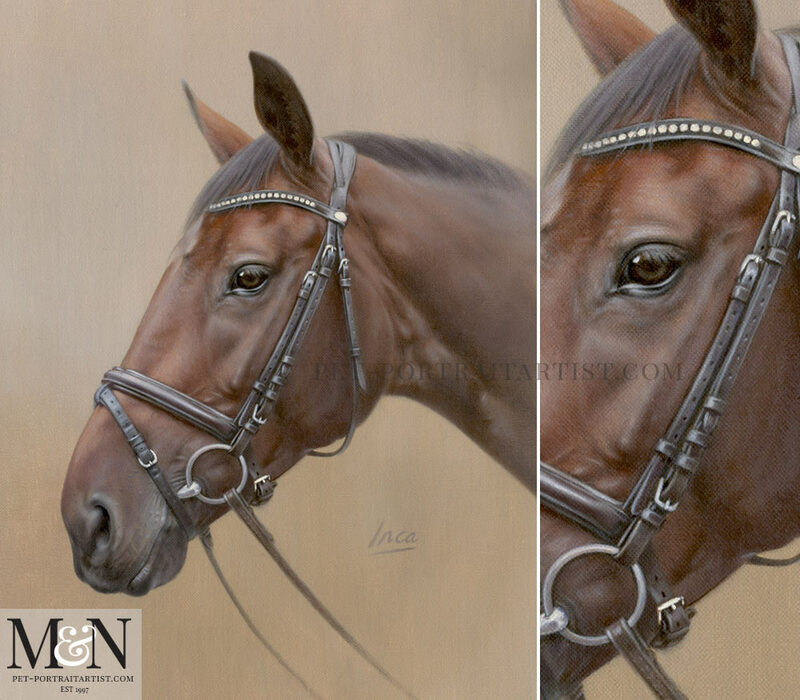 This is Nicholas’ latest painting, a horse portrait of Inca in oils, is beautiful. Jamie emailed us in 2017 to find out if we would be able to paint his wife’s event horse. The horse is called Shannondale Inca, by way of a 60th birthday present in October. Unfortunately we were fully booked as we have a fairly long commissions list however we booked Jamie in for a January start date. Jamie requested a head and shoulders oil portrait and emailed us a few photos to choose from. One particular photo was perfect! The completed portrait is a 14 x 11 oil painting on Italian Linen canvas. As a result, if you scroll down the page you will see a few photos taken during the paintings progress. All of our clients receive a number of stages from start to finish via email. Jamie requested to have Inca’s name on the portrait in a loose style which you can also see in the scene below. We feel it has worked really well! 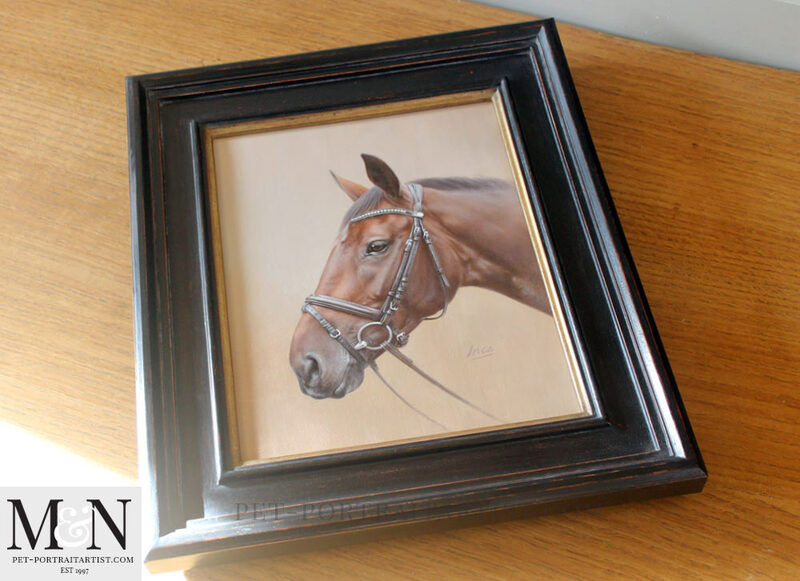 The fine detail in the portrait is stunning, Nicholas has a love for painting horses and is extremely good at it. 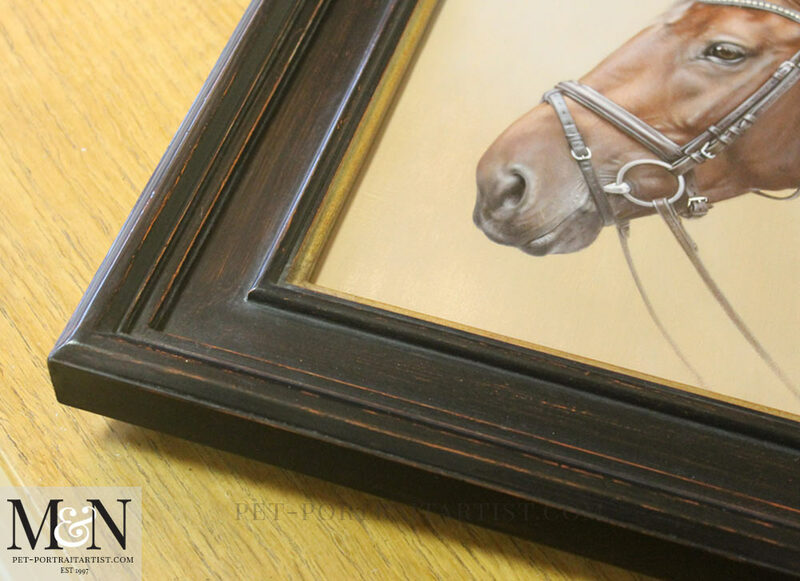 The way he handles the fine tack is stunning – I hope you agree! Serena has just unwrapped the picture of Inca and is delighted with it. Thank you and Nicholas very, very much. It was very well wrapped up, which is ideal to ensure no damage in transit.Serena now says we must get you to do a painting of our daughter Davina’s horse (Dirk). Maybe one with horse AND rider – so watch this space. We framed the painting in one of our new frames, Hampsted, which works so well with Incas painting. 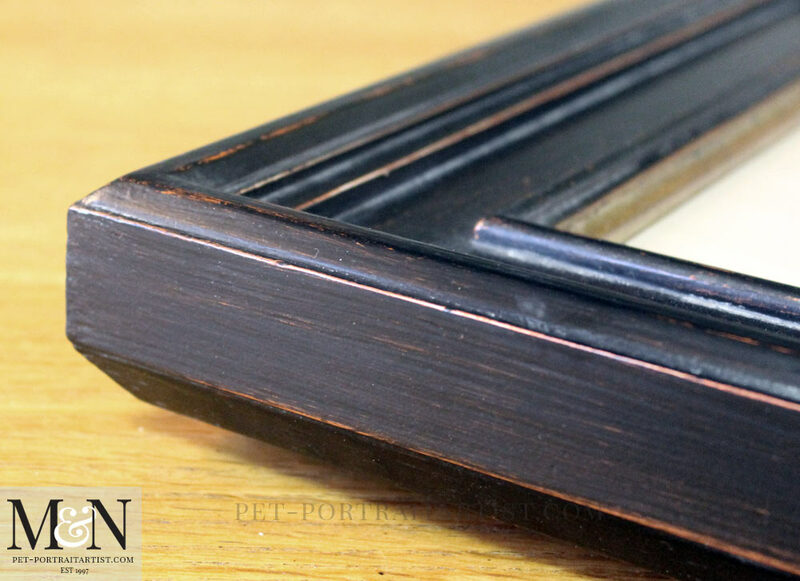 The frame is simply beautiful and I have taken a video of the painting and frame which you can watch below. I have also taken some close up photos of the frame too. It is a fairly dark brown with a simple gold inner line. Plus, the frame brings out the dark areas on the painting really well. 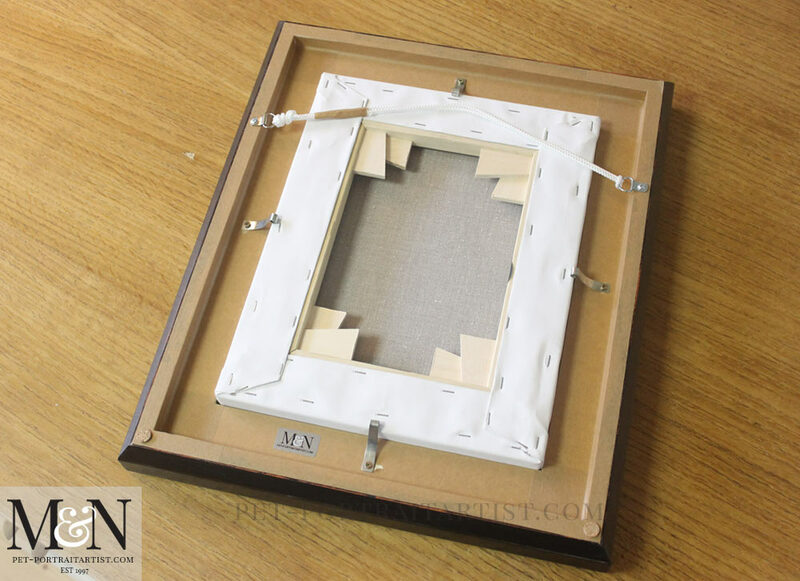 If you would like to see the frame and hear about it in more detail, hop on over to our Hampsted frame page. 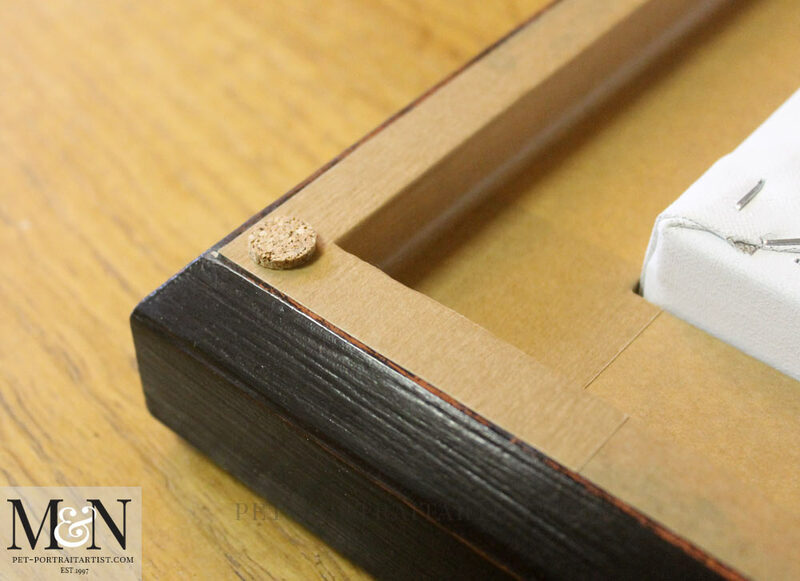 There is a dedicated video about the frame there too that you can watch along with photos too. WOW! The sheen on the bridle leather mirrors Inca’s silky coat. I literally could feel it under my fingers as I looked at the detail in the painting. Kudos to Nicholas again! And what a beautifully cared for animal. So nice to see. I look forward to seeing the work in progress on your projects leading up to the finished piece.